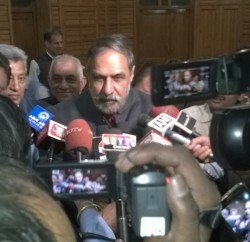 Shimla: Former Union Minister Anand Sharma files nomination for Rajya Sabha seat at Shimla today. 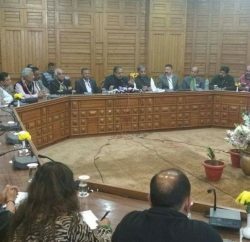 The Indian National Congress has 36 members in the 68-member Himachal state assembly house where the BJP has 27. 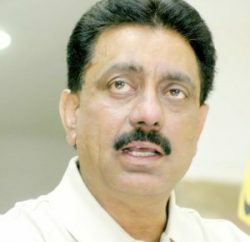 Four independent members are also supporting the Congress. The last date of filling nominations for the seat is March 11, and the polling, if necessary, takes place on March 21. However, the opposition BJP hasn’t fielded anyone. Earlier, Sharma was a member of Rajya Sabha from Rajasthan. Chief Minister Virbhadra Singh was present on the occasion. Virbhadra Singh said that “It was 32 years back, when Shri Anand Sharma was made President of Youth Congress by me”, and also congratulated Sharma for rise in his political career. Senior Congress leader and cabinet minister Vidya Stokes, Asha Kumari, congress state president Sukhvinder Singh and other party leaders were present at the occasion.